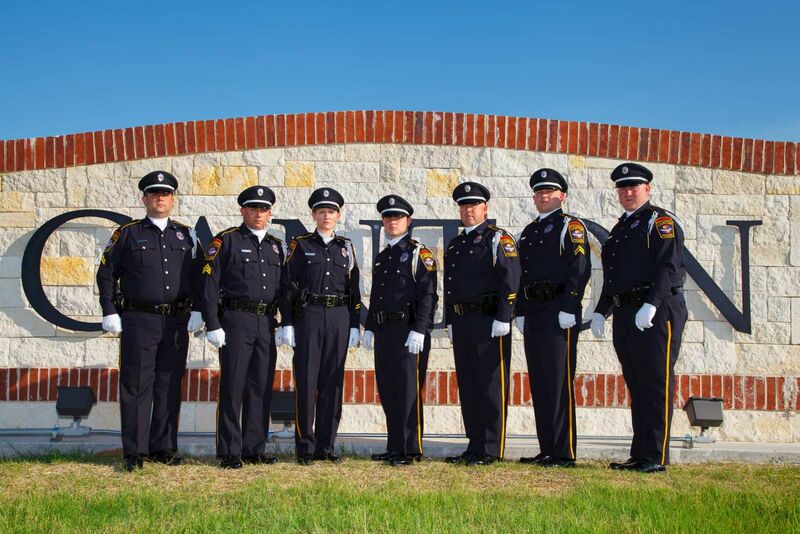 Police Department | City of Canton, TX. The right locks add security. The easiest way to prevent theft in your home is to lock your doors and windows when you leave, whether you'll be gone a few minutes or a few days. Yet, standard door locks, like key-in-the-knob spring bolt locks, may not be enough to deter experienced thieves. Your best choice for a door lock is a single-cylinder dead bolt lock, backed by a reinforcing strike plate with three-inch screws. The dead bolt should be at least one inch thick and extend at least one inch into the door frame when locked. Sliding patio doors and windows. These present a special security challenge. A dowel or pipe in the slider track helps, but isn't perfect. Thieves can bypass them by lifting the doors or windows out of their slide channels. You can help prevent this by tightening adjustment screws to eliminate "play" in a door or window. Better yet, use a bolt lock. Also, lock your garage and any storage sheds on your property, especially if they contain tools or ladders thieves can use to break into your home. Use a quality dead bolt lock here too, if you can. Avoid leaving an extra 'hidden" key outside your home, such as under the doormat or in a mailbox or planter. To make sure you can always get in, leave a duplicate set of house keys with a trusted neighbor or friend. It is recommended to have any windows in the door a minimum of 36" from the dead bolt or door lock. Using quality locks is one good way to keep you and your family from being victimized by crime. But, keep in mind that burglars search for easy targets. Security measures you take outside your home may force burglars to look elsewhere. Thieves often prefer to operate in the cloak of darkness. For that reason, keep entryways, pathways, stairwells, porches, yards and parking areas well lit. Mount lights up high so they can't easily unscrew lightbulbs. Also, keep tree branches and shrubs trimmed away from your home so that can't be used as hiding places. Make your home look lived in even when you're not there. Arrange for someone to mow your lawn. Use timed switches on your lights, TV and stereo. Look for timers that turn on and off randomly, rather than on a set schedule. Don't broadcast your absence on a note taped to your door or by announcing it on your telephone answering machine. Use solid core or metal clad entrance doors with solid door frames firmly attached to your home. Many intruders enter residences by physically destroying lightweight hollow core doors and flimsy door frames. Be sure entrance doors have wide-angle peepholes or view grills so you can see visitors without opening the door. Ask anyone who comes to your door for identification before allowing them inside. Keep valuable papers and records like stocks and bonds, duplicate copies of your will, valuable stamp and coin collections, and jewelry you don't frequently wear, in your safe deposit box. Give parking lot attendants and mechanics your ignition key only, not your house key. Don't carry an identification tag on your key ring either. This could help a would-be thief easily identify your home and vehicle. Consider installing an alarm system for an extra level of protection. You have a variety of choices, from do-it-yourself kits that trigger a siren or lights, to professionally installed systems connected to a police station or monitoring service. Invest in a heavy-duty gun safe if you have firearms in your home. This will keep guns out of criminals' hands, and keep them away from children, friends and relatives who don't know how to handle them safely. By using these theft prevention tips to protect your home and possessions, you and your family should have little to fear from burglars. You'll also have extra peace of mind when you're home or away on vacation.